THERE IS NO FEDERAL SECURITY MANDATE FOR SMART METERS, according to George W. Arnold the national coordinator for smart-grid interoperability at the National Institute of Standards and Technology. This agency of the U.S. Department of Commerce is said not to be involved in regulations but is only tasked with promoting standards among industries. While both the 2005 and 2007 faux energy bills were codified into public laws, NO part of them creates a federal law pertaining to individual consumers or dictating that the public must be forced to comply with provisions of SMART Grid. Contrary to the bleating of manufacturers and utility talking heads, who claim there is no “opt out”, the fact is you, the consumer must be offered the meter, or request a meter and “OPT IN”. No one can be forced to comply with an unrevealed contract between private corporations, and to which you were never a party and had no knowledge of. An Energy Tax Package was under development in Congress for several years prior to 2008. In September 2008, the package was finally enacted into law via its inclusion in the Emergency Economic Stabilization Act of 2008. This tax package shifted tax liabilities from corporations who were already posting massive record profits, onto the public. These standards are in the form of requirements on parties such as utilities to undertake certain actions. The standards are not directly prescriptive on these parties, however; it is up to state utility regulatory commissions, or the bodies that govern other types of utilities, to decide that the standards should be actually adopted by utilities subject to their jurisdiction. The only direct mandate with PURPA standards is for the state or other jurisdictional body TO CONSIDER whether the new Standard should be implemented and to demonstrate that it has undertaken such consideration. The first new Standard would require utilities—prior to undertaking investments in non-advanced grid technologies— to demonstrate that they have considered investments in “qualified smart grid systems” based on a list of factors (on page 301) in the section that include total costs, cost-effectiveness, etc. This Standard would also allow utilities to recover from ratepayers any capital, operating expenditures, or other costs of the smart grid investment, including a reasonable rate-of-return. This is a tax bill. “Ratepayers” are actually taxpayers. This is a new TAX forcing the public to finance SMART METERS/GRID at the rate of 100% of costs plus a profit margin written into it. We are being forced to finance a system sold as energy conservation, efficiency, carbon reduction, and at the same time being subjected to unwarranted surveillance, data mining, and extreme health hazards not to mention the invasion of our homes and businesses. Taxes for this system are applied to your energy bill under several categories and not one part of this bill or the SMART GRID system will reduce consumption or make energy sources more secure or efficient. The Energy bills of 2005 and 2007 were Energy TAX bills and had nothing to do with conservation, security or efficiency.Reading through the 2005-2007 tax provisions is a laundry list of non-related tax breaks, subsidies, tax credits and other loopholes for gas and oil cartels and other so-called energy producing corporations. All taxes for financing this loss of revenue will be applied to and paid by ….you, the general public. The “states must consider” does not mean the states must comply as there is no law to force compliance of the states. **This is where the Department of Energy excused itself because it has no lawful authority. Demand Response and SMART METERING Policy Actions since the Energy Policy Act of 2005. A summary for State Officials. This summary is the guide document instructing state officials on how to implement this business plan in their respective states. In late October 2009, the Department of Energy (DOE) announced the recipients of the $3.4 billion in stimulus grants under the American Recovery and Reinvestment Act (ARRA). Award selections were announced for 100 smart grid projects that are intended to lead to the rollout of approximately 18 million smart meters, 1 million in-home energy management displays, and 170,000 smart thermostats, as well as numerous advanced transformers and load management devices. The award selections were organized by category: 1) Advanced Metering Infrastructure; 2) Customer Systems; 3) Electric Distribution Systems; 4) Electric Transmission Systems; 5) Equipment Manufacturing; and 6) Integrated and/or Crosscutting Systems. In its announcement, the DOE said the $3.4 billion represented the largest amount of ARRA funding ever made in a single day. ABSOLUTEY no testing was ever done on the SMART METERS to substantiate the claims by government and manufacturers that the meters are safe. Independent testing however, exposes the danger of these meters to the overall public health. 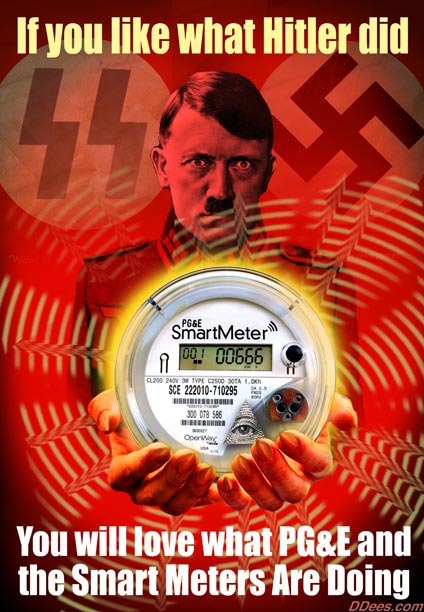 ‘Smart’ meter radiation is a Class 2B carcinogen according to the World Health Organization (pdf) (from http://stopsmartmeters.org/ ) And this is just the tip of the SMART METER iceberg. No one knows what the affects of meshed systems will have on communities and neighborhoods as they are bombarded with massive amounts of radio frequency radiation thousands of times a day. It is an assault on the senses that as the country foundered on the edge of near total economic collapse due to the corruption on Wall Street and in banking, that our congresses and presidents for the last ten years used this crisis to finance a massive assault on the public meant to further cement a police state while pandering to corporations to enrich them and by extension and as a repayment of favors owed, enriched themselves. Congress flooded the Department of Energy and the Commerce Department with billions of dollars loaded into the Economic Stabilization Act 2008 and the Stimulus 2009 package to buy access to individual states. Considering the abhorrent state of our economy, you might be wondering where these billions came from. First came the “economic stabilization act of 2008, then the “stimulus” package of 2009 where billions and billions were funneled to federal corporate agencies. Then came a meeting with the ”council of governors” to determine how to access the states, flood them with cash during severe economic distress that they allowed to happen, and gain access inside the geographical boundaries of the states. Of course, the “council of governors” jumped right on the wagon and every governor in every state followed them with their hands out for the free cash…..that came from borrowing against the full faith and credit of the United States (Inc) which turns out to be ….you, the taxpayer. This allowed the DoE and various other unlawfully created corporate federal agencies to disperse massive wads of cash to those “stakeholders” they cherish so much. 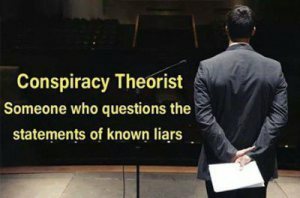 In short, the public is being forced to subsidize the capital investment and expansion of privately owned utilities in addition to being forced to pay a second time as these same parasitic corporations recoup these same investments that were funded by the stimulus package to begin with. Reading through the Energy Policy Act of 2005 and the subsequent EISA 2007 energy bill, it is absolutely clear that what did pass pertaining to SMART Metering pertained only to Federal buildings and [federal] housing. This is in adherence to the Constitution which gives the federal government power only over needful buildings, insular possessions and territories. In every other instance the word “voluntary” precedes any item. The SMART GRID system is nothing more than a system of accelerated energy costs with accompanying tax increases. The system cannot and does not deliver more efficient use of energy and isn’t meant to. The intent of the GRID and the meters is to pin energy rates to the ever fluctuating markets enabling the energy provider to charge the highest rate possible in any given period of time. Higher rates mean higher taxes. This isn’t about energy conservation or any of the other nonsense put out as propaganda to foist these deadly meters upon an unsuspecting public: This is simply a business plan meant to unlawfully spy on private citizens while extorting the public for corporate profits. And if you get sick from these meters blasting you 24 hours a day with radio frequency radiation………tough crunchies. There’s money to be made. **Print this article including links and references and present it to your Utility company, legislators and friends. Also, print off the notice of refusal and send it along with this article as documented proof that there is NO MANDATE for SMART meters and that it was YOUR choice to opt in, not their choice to claim you could not “opt-out”. http://stopsmartmeters.org/ ‘Smart’ meter radiation is a Class 2B carcinogen according to the World Health Organization (pdf), at least 100x the exposure from a cell phone, say UC Nuclear experts. Equivalent to living within 500 feet of a major cell tower, according to independent EMF expert Cindy Sage. Thousands are reporting adverse health effects to the PUC, and yet installations continue as if nothing is wrong. USC Title 15 Commerce and Trade. Regardless, Title 15 Commerce and Trade is non-positive Code & Title, simply meaning that there is no underlying Constitutional authority for the federal government to enter into these areas and therefore, these “codes” cannot be codified into public law and carry no force of law except as it applies to theDistrict of Columbia, insular possessions and territories. These are the ONLY places the federal government has absolute authority. Commerce and trade cannot be codified into public law as there is no underlying Constitutional authority for the federal government to enter into commerce or trade other than as a contracting party or, in the treaty process. The government may enter into trade disputes between the states as an arbitrator when there is a state-to-state dispute although, depending upon the political leanings of SCOTUS at any given time, the twisting and contorting of this provision can change dramatically. The federal government has no authority to unlawfully cede to or, empower any federal agency with powers and authority the federal government does not possess and never did. Pilot Study Shows Dramatic Difference In Brain Activity With EHS (Electrohypersensitive) Cases As Compared To Controls (Non EHS). This is the first known published study to show pictures of EHS on an fMRI. The Peoples Initiative Foundation has announced the conclusion of a pilot study they organized, headed up by Dr. Gunnar Heuser, showing EHS on an fMRI. This study was originally published by Degruyter in July of 2017, but was absent pictures of the controls. The company waited until the pictures were placed in the study to issue this press release, as the visual difference between the cases and controls is quite dramatic. But under the leadership of Ajit Pai, a Republican who joined the commission in 2012 and whom Trump elevated to chairman, the FCC has seemingly gone out of its way to grease the wheels for the Sinclair-Tribune merger, reinstating a rule from the Reagan era that could help the company avoid limits on media consolidation. “The FCC is gaming the rules to directly benefit Sinclair,” says Craig Aaron, the president of the public interest group Free Press. It just becomes a way of life Marti. THANK YOU for providing a format for honest discussion where information can be shared. I agree! The whole system is predicated upon control and extortion of the public with the intent to profit. I will be checking on this bill Louie….as always …thank you for your diligence and research. Exactly! this was a financial win-win-win for the power companies. They got 100% funding to implement Smart Meters, they were allowed to recoup the costs a second time from customers + an added profit, and do not have to prove the accuracy of the meters which has resulted in people getting horrendous bills with no option to have the reading challenged. Pay or get shut off. for one month during a summer heat wave was $400.00 for the A/C. There’s a saying “When you see a good fight jump in”. There are battles raging everywhere at this point in time. AARP Michigan has adopted among its top 10 legislative priorities for 2018 a bill introduced by state Rep. Gary Glenn allowing customers of Consumers Energy and DTE the freedom to opt out of having a “smart” meter installed on their homes without being forced to pay an up front and monthly fees, as is now the case. DiamondEyedJack, the fastest way to get the smart meter off your house is to take an ax or hatchet to it. The intent of the Smart Grid isn’t to benefit consumers but to facilitate the trading of electricity and regulation of its price. The only solution to the Smart Grid is to put energy generation back into hands of communities with distributed solar energy systems people can run themselves. Lots of luck trying to do that. Your utility company will extort you with “fees” for having to read an analog meter, and/or, they will cut your power, gas or water service off. All analog meters that have been unlawfully removed from your residence are immediately destroyed so that they cannot be re-installed. You can thank your county commissioners, city councils and your politicians for allowing this and for contracting with the utility companies to facilitate the installation of the meters. So how do I get this smart meter off of the back of my house?